Dr. Pitcock and his staff possess a combined 25 years of dental office experience. They are always ready to use their experience and knowledge to help you make the best decision regarding your dental care, and are always ready to answer any questions you may have regarding past, present, or future dental care. As well as being a paperless office, Western Kentucky Dental also offers digital radiography to all patients. Digital radiography is a form of x-ray imaging, where digital x-ray sensors are used instead of traditional photographic film. Advantages of digital radiography include time efficiency, a much clearer image for diagnosing, the ability to transfer and enhance images, and much less discomfort for the patient. Also, digital radiography uses a fraction of the radiation used to produce traditional x-rays, making it much safer for patients as well. Western Kentucky Dental also offers the benefits of an intra-oral camera to all patients. The intra-oral camera makes going to the dentist easier for both the patient and the dental health provider. It is very small, approximately the size of a pen. Because of its size, the camera can reveal images of the teeth from angles previously unseen. It also gives Dr. Pitcock the ability to zoom into problematic areas of the mouth in order to see more clearly and make the best diagnosis for the patient. The intra-oral camera is also a very helpful educational tool for patients. Most people cannot see well into their own mouths, so the images captured allow patients to see exactly what Dr. Pitcock sees on an in-office screen. 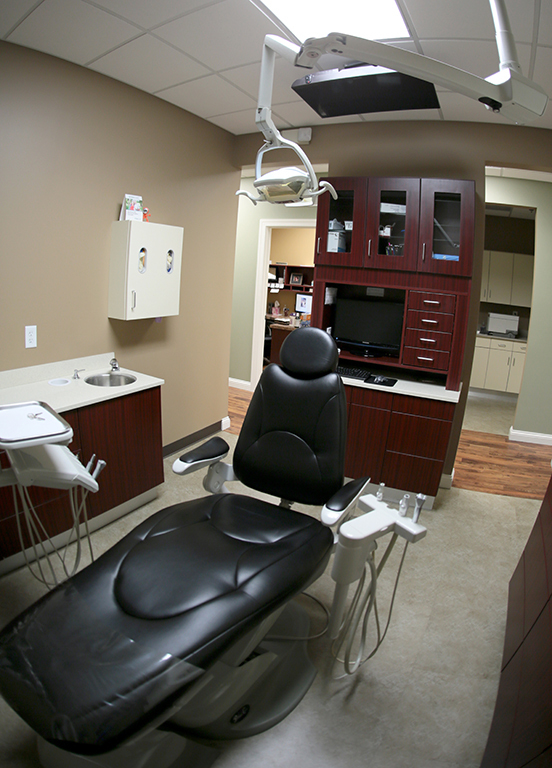 At Western Kentucky Dental you will also enjoy such amenities as flat-screen TVs, massage chairs, and a luxurious and clean lounging area.